The best sushi restaurants on the Gold Coast thrive on their freshly prepared, immaculately presented Japanese cuisine that offers an abundance of irresistible tastes and textures. Without them how could we possibly find the prospect of raw fish so goddamn appealing! But the best sushi establishments are so much more than their neatly presented raw fish parts. From delicious octopus balls (Takoyaki) to soft shell crab, deep-fried agedashi tofu, and fresh sashimi…dining on Japanese really is about as adventurous as it gets for many of us. Whether you like tried and tested sushi like tuna with avocado, salmon, or chicken karaage, or prefer to push the sushi ship out a little further opting for more daring morsels like grilled eel, scallops, or (squirm!) sea urchin, we’ve scoured from north to south, bringing you our pick of the best sushi on the Gold Coast. Snugly tucked away at the end of a nondescript arcade in Chevron Island, Sushi Café is one of those seemingly hidden-away-from-the-world-restaurants you’d wished you discovered sooner. It doesn’t help that it’s the best-kept secret in Chevron, nor that it has one of those misleadingly understated titles that fails to do itself any justice. For starters this is certainly no café and although the sushi (along with the freshly prepared salmon or scallop sashimi) is indeed one of its major draws, this restaurant offers more than raw fish. In fact one of Sushi Café’s main attractions is its deliciously diverse menu of cooked food, which includes such mouth-watering bite-sized delights as soft shell crab (with a sweet chilli dipping sauce), deep-fried halloumi cheese (yum! ), agedashi tofu, spicy squid and arguably the best Takoyaki (octopus balls coated with a mayonnaise and thickened Worcestershire-type sauce) you’ll ever taste! Friendly owner Hiro Yamada always has superb Japanese beer on tap and there’s even a “happy hour”, which, given its elongated duration, converts into something closer to a “happy evening”! Jupiters have really upped their game with their ongoing multi million-dollar renovations, which are sure to pay them back in dividends. 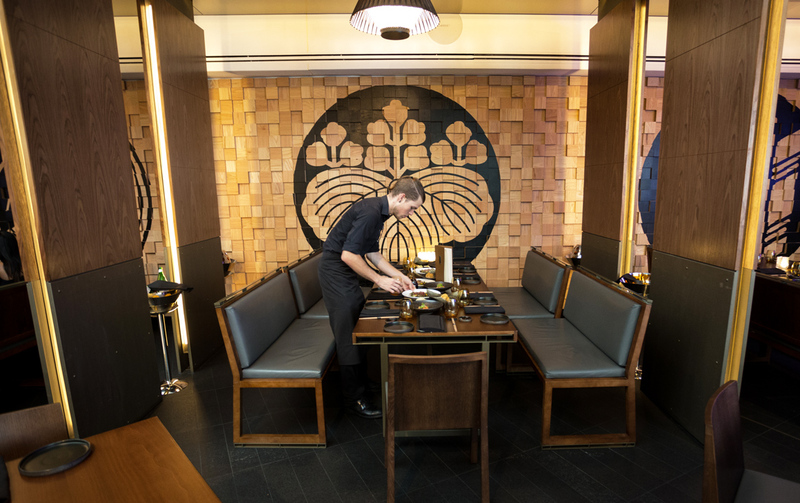 Not only has Kiyomi’s clean-cut Japanese interior design drawn some serious attention, but the contemporary menu (created by internationally recognised Executive Head Chef, Chase Kojima) offers a distinction second to none. If you’re a serious (and we mean serious!) sushi connoisseur, try out their prestigious (OMG seven-course) Omakase menu and you’ll be in foodie heaven. Bless you! Sorry we couldn’t resist. Seriously though, Etsu is not to be trifled with. With artfully-curated dishes designed for sharing, they have an abundance of next-level sushi and sashimi options which are rolled out steadily so you’re not kept yearning between courses. Etsu also does a fab job of catering for large groups (don’t come expecting a night of quiet conversation), with two set menus including mixed sashimi, alongside such exquisitely labeled dishes as prawn isobe-age and Hamachi carpaccio (kingfish). Does Etsu make some of the best sushi on the Gold Coast? We think so! Cha Cha Japanese is a Broadbeach institution, so it’d be a disservice to leave them off our list of the best sushi on the Gold Coast. This unassuming eatery ticks all the right boxes: friendly service, cheap-to-eat options, veggie and vegan-friendly, with a loyal following which sees it packed out most days. The salmon sashimi salad is so fresh we could have sworn we saw the fish twitching on the plate! Plus, you can BYO for just $2 per person (which means more money for more sushi!) 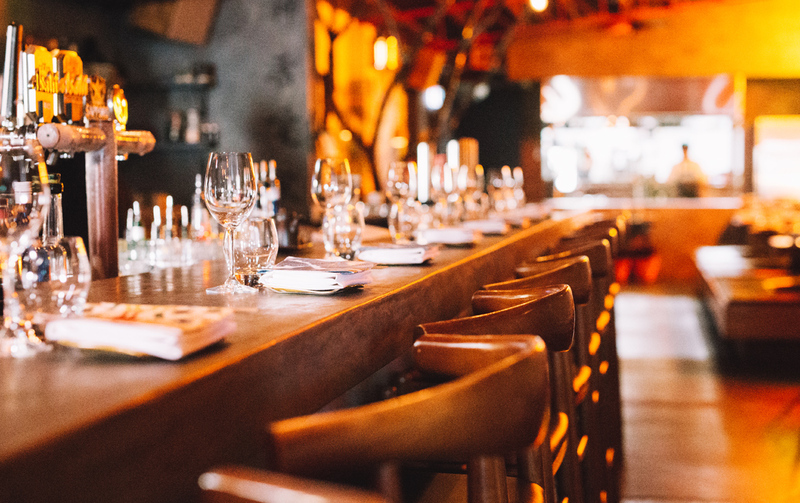 or gather a group of eight of your besties to take full advantage of the yummy banquet menus. Capitalising on their long established, multi-award winning reputation, Shogun recently made the advantageous move from the Gold Coast Highway in Bundall to a more refined Ferry Road location. They’re smart. They’re sleek. 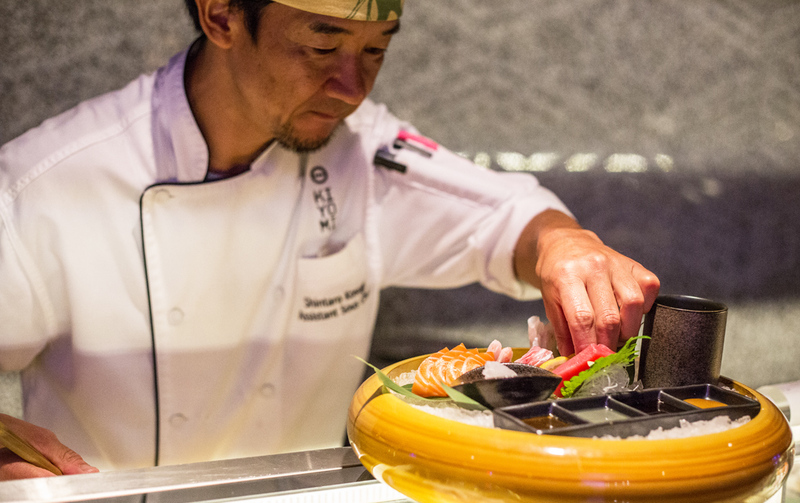 They have impressive showmanship and they know how to prepare some serious sushi. We love their full frontal Japanese bamboo garden too. Ten Japanese is sushi at its finest. And you really can’t go to Ten without opening your wallet and indulging in the signature five-course degustation. Settle in for the long haul with eye-opening sushi delights such as prawn tempura, spicy salmon, and mixed nigri, but leave room for the spanner crab and porcini omelet, grilled Alaskan king crab legs, and Wagyu rump cap. Nom nom nom. Hachi’s Palm Beach and Nobby Beach eateries are low-key, but it’s not about the décor here, instead it’s all about authenticity and generous quantity helpings of sushi and sashimi; and on that front Hachi comes up trumps! (And we certainly ain’t talking Donald Trump). We like the welcomingly traditional décor, the tantalising menu choices, and the way the ramen and udon noodles are served in huge clay bowls that feels like you’ve practically travelled the South Pacific to lunch in Japan itself! Stipulating upfront that their ingredients contain no MSG, that they use free-range products, and serve gluten-free dishes alongside various vegetarian options, Wazen really have their customers’ best interests at heart. On the sushi and sashimi menu you’ll find such always-alluring highlights as seared salmon and seared scallop with a flying fish roe garnish or, our fave, the Wazen roll with cooked tuna and avocado, prawn, salmon, and additional tuna on top. This tucked away West Burleigh gem is certainly deserving of a place among the best sushi on the Gold Coast. Have you tried it yet? Another Gold Coast institution that was around long before the sushi train explosion saw it served on every corner, here you’ll find octopus from Western Australia, ocean trout and salmon from Tasmania, and scallops from Japan. We love the the sashimi selections at Itoshin so much we ordered them all to combine a seafood medley that had us weak at the knees! Or was that us overindulging on the sake menu again? Did we miss your favourite among our pick of the best sushi on the Gold Coast? Let us know!